Also 5 cases of the double 94/100 rated 2015 FAUST Napa CAB left-SAME "FAMILY"/OWNERSHIP/DREAM TEAM of WINEMAKERS-BASICALLY THE "SECOND LABEL" OF QUINTESSA-are left at that SPECIAL end of the year pricing...$43.95/btl. 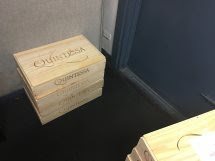 97/100 RATED 2014 QUINTESSA, 4 LONELY WOOD CRATES LEFT...normally comes in cardboard....WAITING FOR A HOME and ON DEAL! 2014 QUINTESSA-97/100-$165/btl/// in custom wood crates ordered just for us... you can NEVER have too much Q + THIS IS $15-20 off PER BOTTLE! We have championed this gorgeous meticulously made SUPERSTAR Napa -RUTHERFORD- meritage since its inception, year in, year out the wine is SUPERB! A Grape Wine Co. favorite that I have pushed "from the trenches" since the 90's when nobody knew about it. This INCREDIBLE cab meritage is the BEST of BOTH WORLDS, always have been, ages very well the way Bordeaux do...YET is very approachable to drink within 4 years of its vintage or so...YUM!!! "Quintessa, like all classic wines of the world, bears the same name as the vineyard from which it is made. Our goal is to produce the best expression of this extraordinary vineyard each year. In broad terms, Quintessa is a red meritage wine. Each year, it is a blend that can include some or all of the five varietals grown on the estate: Cabernet Sauvignon, Merlot, Cabernet Franc, Petit Verdot and Carmenere. 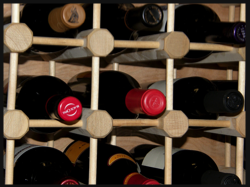 The vineyard's diversity provides us wide stylistic options for the wine. Fruit from each component block of Quintessa is harvested, sorted, then gravity fed into either oak or stainless steel fermentation tanks. Once fermentation and maceration are complete, each block wine is aged separately for up to two years in french oak barrels in our caves. After this aging period the components are brought together and the final Quintessa blend is created. The wine is then bottled and laid down for yet another year before release. Although each vintage is unique, we have discovered that finesse and elegance best express the character of the vineyard and as such, we blend for harmony, balance, and length of flavors. 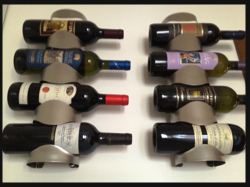 Above all, our objective is to make Quintessa a delicious wine that is complementary to food." Aromas of spearmint, sweet tobacco, cigars and blackcurrants follow through to a medium to full body, very polished and refined tannins and an intense finish. Extremely fine and long. Savory. Extremely long finish. Biodynamically grown. The three red wines are represented best by the flagship wine, the 2014 Quintessa Proprietary Red from their vineyards in Rutherford. A beautiful floral, black raspberry and blackcurrant nose soars from this dense ruby/purple wine. Medium-bodied, beautifully rich and layered, the emphasis is on discreet yet intense flavors, power allied with elegance, and wonderfully supple, lush tannins. This wine has great balance, purity, and presence on the palate and should evolve beautifully for two decades or more.